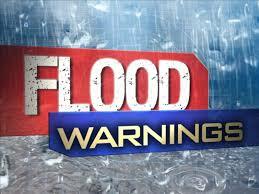 The Ranch Drive Fire Department has issued a flood warning for Kay County on the Chikaskia River from now until Thursday. TURN AROUND — DON’T DROWN. Minor flooding is forecast on the Chikaskia River from late Tuesday night to late Wednesday night, or until the warning is cancelled. Flood stage is 29 feet and the River is expected to crest at 29.9 early Wednesday. At 30 feet, several residences in Blackwell may be surrounded with 2 feet of water. Highway 177, north of Blackwell may be flooded and Hubbard Road may be impassable southeast of Blackwell. Farm lands will be covered by floodwaters ranging up to 2 feet in depth in extreme northeast Grant County and in Kay County.